Green Bay Distillery is great for watching the game while enjoying delicious food and drinks, but we have even more to offer! Let us host your private event, banquet, or wedding. We have rooms to fit any size, any budget! 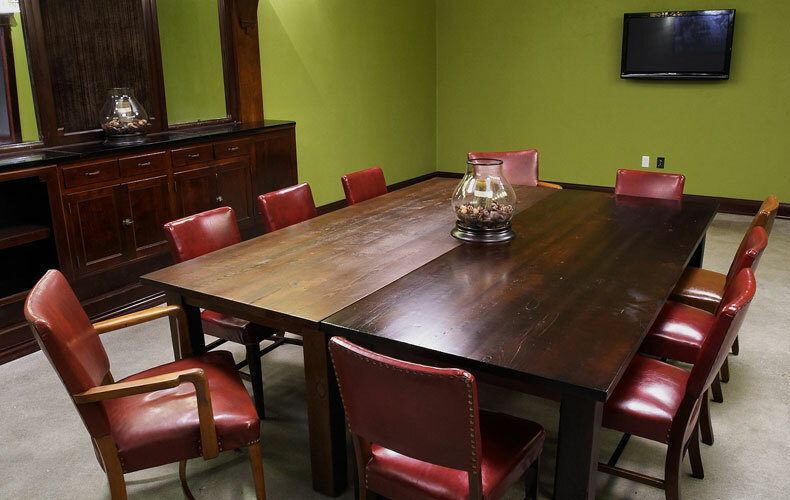 See what others have said about our banquet rooms. We have a gorgeous 8,000 square foot banquet room featuring high ceilings, antique wooden wall art, a private bar, and a large stage with a 20-foot drop down projection screen. The projection screen is perfect for slideshows and videos, while the stage is great for a DJ or the head table. This room can accommodate 325 seated for weddings, meetings, fundraisers, or any other private event. Just opposite the banquet room is another unique attribute to the Distillery. The indoor/outdoor patio room features large glass garage doors making it a favorite for Packer tailgating. The patio can accommodate 100 people, not including the outdoor seating area, perfect for smaller gatherings. There is also a private bar and projection screen in this room. However, the best part of the room is the view! Where else can you enjoy a meal while watching our home team toss a few footballs around? Lastly, the smallest room option the Distillery has to offer would be the Private Dining room, designed for parties of 30 or less. This quaint room features a beautiful wooden built in buffet as well as a 32inch flat screen television with laptop hookups.